While we Brits patiently await the arrival of Amazon's Kindle e-reader, our American cousins will soon be treated to a thinner, more stylish Kindle 2.0, according to new reports. 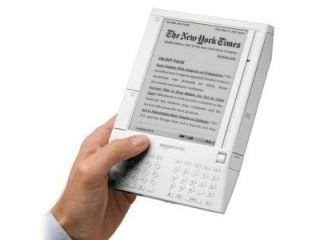 Business Week confirms that the Kindle 2 is on its way, informing us that they have been, "hearing some details about an upgrade of the base model" apparently due as early as next month. The report adds that Amazon's new Kindle 2.0 will be "significantly thinner, has a better screen, is more stylish and includes fixes to some of the user interface annoyances with the first version." Kindle 2.0 is described as "as big a leap from its predecessor as the iPod mini was from the first iPod." Meanwhile, here at TechRadar we continue to badger the PR people at Amazon.co.uk who are still unable to tell us when we might see a Kindle on the UK site. In the meantime, if you are really desperate for a decent e-reader, then you might want to head over to Waterstones to pick up the new Sony ebook reader.